Looking over our sales for the past twelve months we find that we have sold exactly zero e-books in PDF format. Therefor, we have deleted all PDFs from our store and will no longer offer them to the public. If you MUST have one, of course the PDFs from which our print editions are prepared are always available. Offering them was no big deal, requiring only the preparation of a slightly revised version of the print-ready PDF, but it does clear up clutter at our store by removing a third of the listings! Just a reminder that GOD OF RAIN came out earlier this month! Announcing the release date for the upcoming fantasy novel by Stephen Brooke, THE CROCODILE'S SON. Out officially on Saturday June 3, 2017. Qala, once Queen of the Pirates, had retired, hoping only for a comfortable and peaceful country life for herself and her little demigod son. Any of us might wish for such things! But others had their own plans. The boy’s relatives, an unruly family of deities, felt called upon to meddle in his upbringing — and one might just want him dead. Add to this the politics and intrigues of mortal men and women, and their penchant for falling in love, as well as her old crew who think Qala has hidden treasure somewhere about her estate. 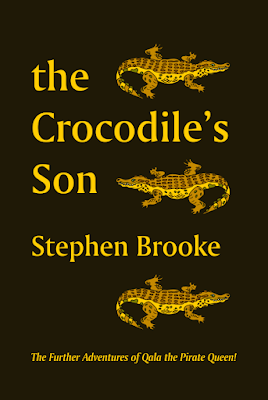 Kidnappings and quests, an adventure through the worlds of gods and of mortals, await Qala in Book One of The Crocodile Chronicles, THE CROCODILE’S SON. 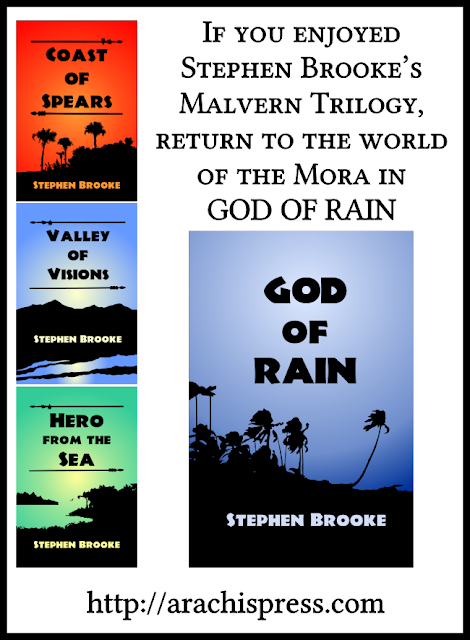 Stephen prefers to call this book 'adventure with a fantasy element' rather than simply fantasy. 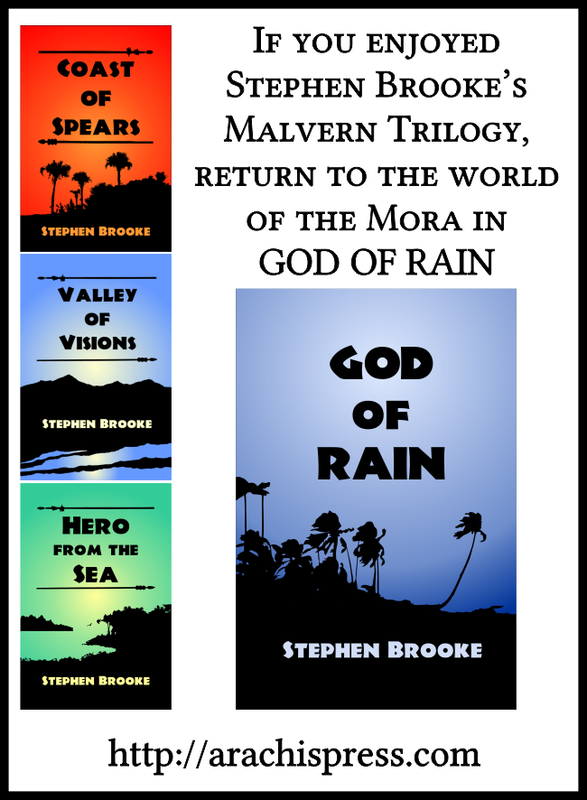 GOD and its predecessors set in the Mora world recall the work of such masters of adventure as Edgar Rice Burroughs, with plenty of action and exotic settings but not delving deeply into magic or the supernatural. More titles coming this summer and fall. Dates to be announced when we have them set!